Last week I had a few friends from around the world come to stay with me in London – one from America and one from Australia. Good thing too, because I was starting to go out of my mind with boredom in my first week back in the UK with absolutely nothing to do after I’d done the family visiting rounds. 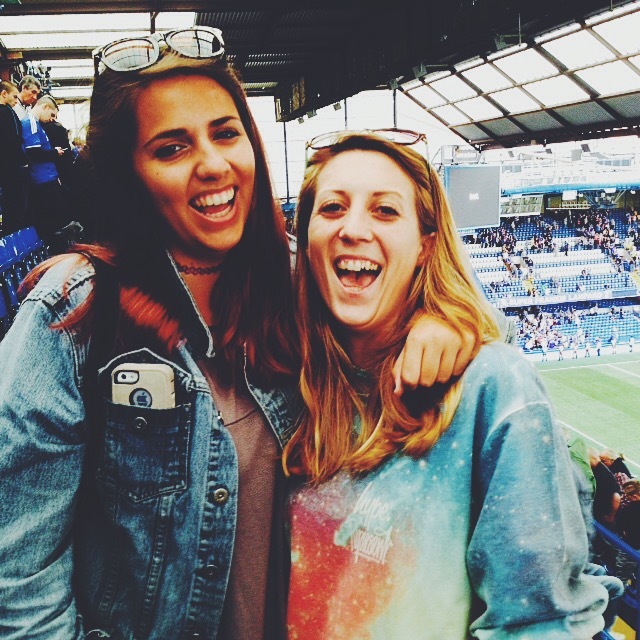 So we’ve been pretty busy being Londoners, doing some touristy things like walking across Tower Bridge, visiting Trafalgar Square and the like, and we even went to a football match the other day too…my first time back at Chelsea in nearly 2 years! It’s been so much fun having these lovelies come to stay…now I’ve just got to figure out what to do when they leave!